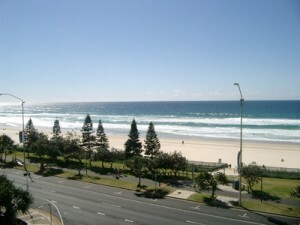 The Shore is the perfect pick if you’re looking for a holiday apartment on the Gold Coast. Here’s why! This is one of the big things people always make great comments on, and let’s face it, it is pretty spectacular. If you’re coming to the Gold Coast to the beach, it really doesn’t get much better than this. Eating out can be one of the most expensive parts of a holiday, but with a fully equipped kitchen in your apartment, you don’t have to! For brilliantly located Gold Coast apartments, these prices really are rock bottom! And we really pride ourselves on how much we provide for the money. We’re right in the middle of Surfers Paradise – it’s about a 10 minute walk to Cavill Avenue, 2 minutes walk to the bus stop and about a 25 minute drive from Gold Coast Airport. How’s that for convenience!